The Brazilian people know that this reform will not bring jobs, said Humberto Costa, leader of the opposition Worker's Party. Opposition senators had tried to block the vote with a sit-in at the Senate president's rostrum, but after a six-hour delay, the body voted 50-26 in favor. Opposition senators had tried to block the vote with a sit-in at the Senate president's rostrum, but the session resumed after a six-hour delay and in a vote on the measure's initial reading the body voted 50-26 in favor. After several hours of debate, the Senate then rejected any changes to the legislation, which already passed the lower house of Congress, and the measure went to the president for his signature. This is a Victory for Brazil in the fight against unemployment and in the construction of a more productive economy, said a celebratory tweet from Temer, who proposed the work rule changes. The measure is part of a program being pushed by Temer that he says is needed to bolster Brazil's economy, which is in a deep slump. The legislation calls for agreements negotiated between employers and workers on a range of issues to override current labor law, and it also will make it easier for businesses to hire temporary workers, even for extended periods of time. Other legislation being pushed by Temer would cap government spending and make the pension system less costly. Although most senators backed the labor law bill, the president's allies did not take the opportunity during the session to speak in favor of the overhaul, which opinion polls indicate is widely unpopular with Brazilians. Early in the day, opposition senators had commandeered the leaders' table on the rostrum and prevented Senate President Eunicio Oliveira and some of his allies from taking their seats. Oliveira responded by ordering the power and microphones cut off and he adjourned the session, leading to long negotiations behind the scenes while the insurgents remained in the chamber. After six hours, Oliveira took a seat at a smaller chair and restarted the session while having to shout to fellow senators, and the rebels soon gave up the sit-in. The spectacle underscored how acrimonious Brazilian politics have become in recent months as Temer's popularity has plummeted and a corruption charge against him has emboldened members of the opposition who believe he never should have become president. Temer took power last year after his predecessor, Dilma Rousseff, was impeached and removed as president. Allies of the president hope the victory on the labor law bill will give the president a boost before Congress lower house, the Chamber of Deputies, votes on whether to suspend him from office and put him on trial for corruption. That vote is not yet scheduled. If two-thirds of deputies should vote against Temer, lower house Speaker Rodrigo Maia would take over presidential duties while Brazil's Supreme Court decided whether to remove the president or find him not guilty. Tags: Brazil, Brazil corruption, Brazil labor reform, Humberto Costa Worker Party Brazil, Michel Temer, Workers' Party (Brazil). Maybe it is time for all the deputies and government members including the opposition to be sacked en masse. 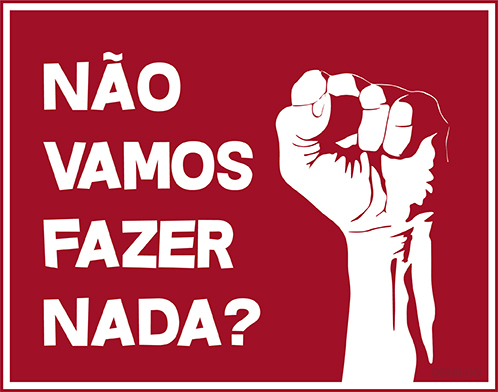 The problem with the opposition & and their 'commie' allies is that after Dilma was kicked out, they swore to make Brazil ungovernable....they are doing their best, and simply ignore that they are voting against the people, not the government. No surprise that the opposition senators who commandeered the Senate leader's chair, disrupting the session for 6 hours, were the same pathetic trio, from the PT & PC do B, which always causes trouble (Gleisi Hoffman, Fatima Bezerra, Vanessa Graziotin). Their disgusting behaviour and lack of decorum should not go unpunished. The only Brazilians to be prejudiced by the labour reform will be those who 'work' for the unions - 90% of which represent nobody, except themselves - now that they will no longer receive hundreds of millions from the workers (1 day's salary from every registered worker), in exchange for nothing.